We are taking a look at the relationship between optimizing for mobile and responsive design this week with the key challenge being the smaller screen size. Designing for the mobile age has become a particularly important topic due to studies that reveal statistics such as 69% of email opens on the mobile. We’ve also snuck in Chris Penn’s take on the confirmation opt-in debate for readers who are still following that news thread. Here are 4 ways to ensure the integration of mobile and email marketing. 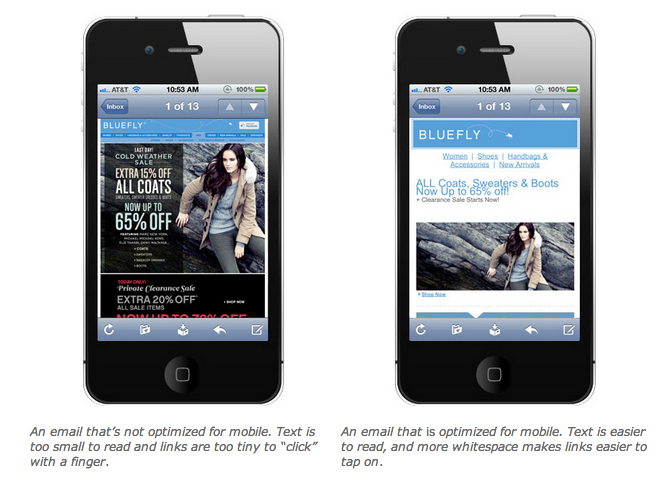 Mobile Email: Make sure messages are readable on a smaller screen. Mobile Sites and Apps: Ensure that you either have a mobile site or app that is easily accessible for visitors reading off smaller screens. 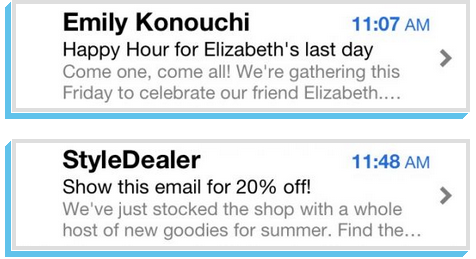 Location-Based Check-Ins: Tie email campaigns to check-in deals. Geo-Targeted Ads: Consider sponsored search with keywords related to your brand. While you may be busy coding a new email template that is mobile-friendly, it’s important to keep subject line lengths in mind. 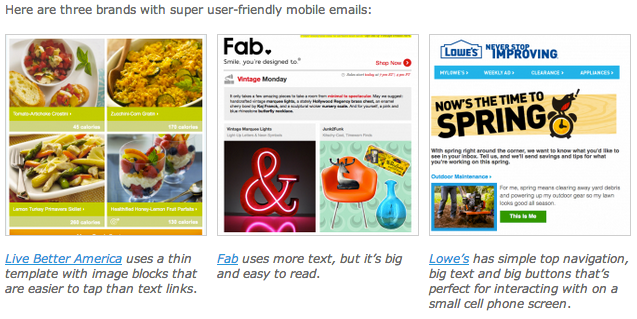 Due to the smaller screen size, it’s best to keep your subject lines to 20-30 characters. Here are a couple of examples. Mailbag: Single or Double Opt-In For Email? Christopher Penn outlines the three different types of opt-ins used for email lists and gives his take on which works best for him. The choices? Single opt-in: Fill in a form and you’re subscribed to the list. Notified single opt-in: Fill in the form, you’re subscribed to the list and you get an email confirmation with an opt-out link. For more information on the list confirmation debate, do check out The Debate on Confirmation Opt-Ins: Are they always necessary? Here’s a great infographic that explains the key features of responsive design. Interested in finding out more about engaging your customers through mobile? Check out The New Communications Standard!